Where does the Rail Trail Go? The trail begins in South Dennis at an intersection with Massachusetts Route 134. This trailhead has a parking area and is just south of exit 9A on US 6. 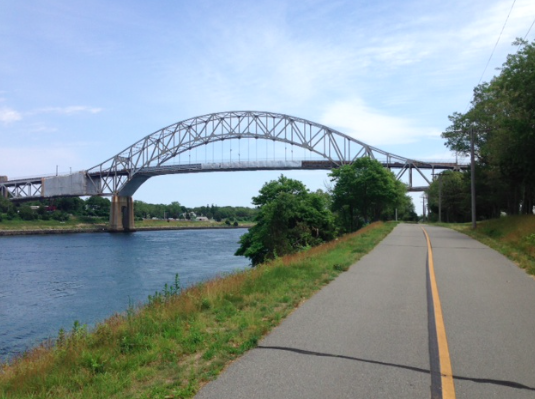 The first 1.5 miles of the trail run through a primarily industrial area in Dennis. It roughly parallels Great Western Road during this section, crossing it twice. 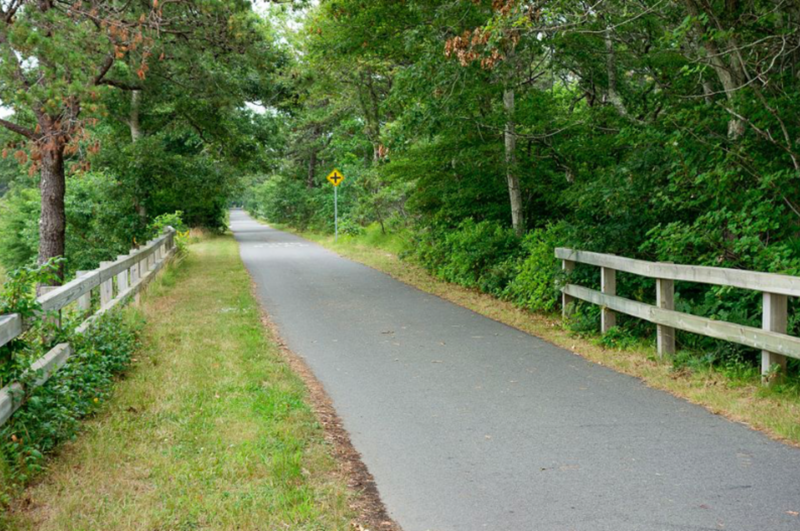 The trail then enters Harwich as the landscape turns to houses and agricultural land before turning gradually north and intersecting with the Old Colony Rail Trail at a bike rotary between miles 3 and 4. The rotary has maps and benches in its center for users of the trail. North of the rotary, the trail passes through a wooded area and crosses Route 6 via an overpass. Another parking area is located at the trail's intersection with Headwaters Drive, north of Route 6. It crosses Massachusetts Route 124 at mile 5 and runs along it until mile 7, passing several ponds and entering Brewster at mile 6. The CCRT crosses Massachusetts Route 137 at mile 8 and then runs south of central Brewster. A parking area is located at Route 137, before the trail enters Nickerson State Park just past mile 10. It is in the park for about two-thirds of a mile, intersecting some of its trails, then crosses Massachusetts Route 6A by an underpass as it leaves the park. A parking lot is located near the Route 6A crossing.